Happy New Year to our Chinese and Korean partners, collaborators and friends!!! This was a very exciting week, we have confirmed a massive new partnership with InsChain which has received a lot of positive industry feedback! The collaboration between InsChain & iXledger will enable acceptance of iXledger’s Utility Token, IXT, on the InsChain platform for peer-to-peer services throughout Greater China Region. 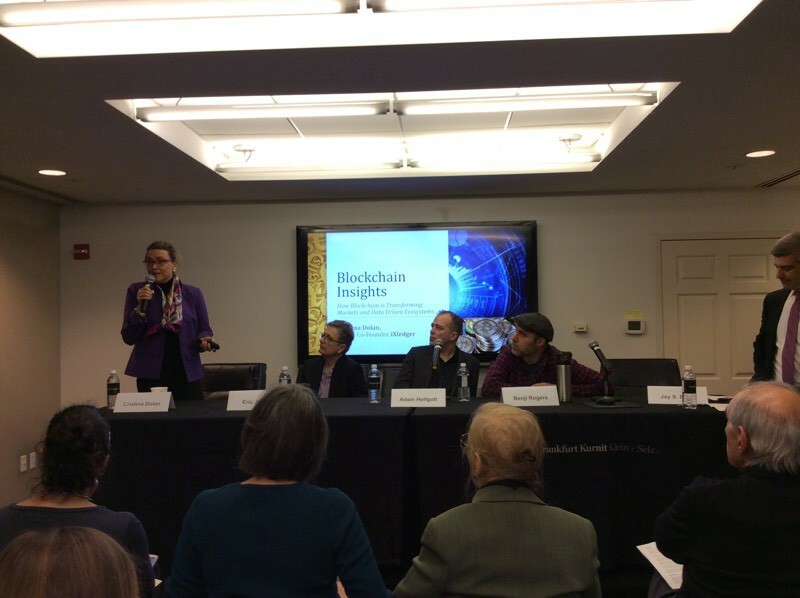 As re-confirmed at Reinsurance News and The Blockchain. “The partnership with InsChain will bring a whole new level of services to the iXledger community. The growing Market Economy, as an extension of the Shared Economy, requires efficiency and interoperability between many partners and participants to support new insurance solutions. The IXT utility tokens facilitate efficient micropayments across blockchain enabled ecosystems. This interoperability enables the creation of new insurance products and services while enabling price discovery with total control and transparency. The InsChain founders have extensive backgrounds in actuarial science and a strong understanding of evolving insurance requirements in the Greater China Region.” said Cristina Dolan, Co-Founder and President US, iXledger. According to analysts, China is one of the fastest growing insurance markets in the world. With that in mind we remain clear-sighted locally with Ingemar Svensson, Founder and CEO of iXledger, saying — “As per our plan, the focus in Q1 is going to market. We continue the business development discussions with industry executives, insurers and brokers which are leading to significant traction. We are pleased to say that we now have a number of concrete opportunities and will now focus on adapting our platform to deliver against our goals”. Next in this week’s’ round-up. 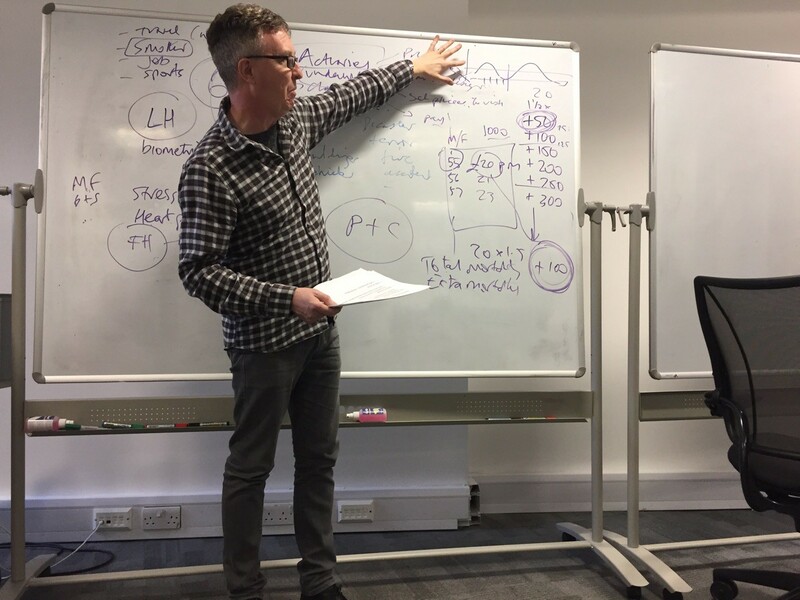 We had the great pleasure of hosting Ross Campbell for continuing workshops and collaboration focused on the requirements for data, workflows and Big Data analytics. One of the key industry requirements includes speeding up the process of collecting and verifying data between the different steps throughout the workflow. Our team is now further looking into ‘Big Data’ solutions that can be used in the near future to add extra benefits to the platform. We’ve successfully completed a proof of concept cross-chain IXT transaction. A smart contract (A) was written that accepts a trie-branch to a mainnet-receipt as input to an IXT-transaction on the Ixledger platform. We further went on to creating a second contract (B) to keep track of block header information and to perform a weak validation of its PoW. The weak validation is done to prevent DoS attacks, strong validation and which requires 16 MB of data storage. This will only be performed in the case of conflicting information passed into the contract. A node that passes wrong information to the contract will be punished after dispute resolution, which provides enough incentive to play by the rules and get rewarded. Furthermore, once a header of block X has been validated in B, it signals this to contract A, from which point contract A can accept merkle-proofs (basically a chain of branch-nodes leading up to the leaf node containing the transaction receipt in the receipts trie) for transactions from block X. Once a merkle-proof has been validated, contract A can perform any appropriate actions based on the decoded information from the receipt inside the merkle proof. Block Header information to contract B and merkle-proofs to contract A could be sent by Masternodes or Oracles, where the intermediary does not have to be trusted due to the in-contract cryptographic validation of the information. This mechanism (known broadly as a Relay Smart Contract) could be used to validate any transaction on mainnet and utilize any information contained within its receipt (i.e. status, address of contract, gas used, and events). Currently, we will use it as a mechanism for people to use their mainnet IXT tokens to be able to pay for transactions on our Ixledger platform. Finally, we continue to refine the design and development of the marketplace in response to the industry feedback. By introducing new collaborative techniques in our tech meetings, we are able to more efficiently to implement the learning into the architecture and interface design. We continue to work on growing our exceptionally strong development team, and this week we have recruited a senior infrastructure analyst who will be pivotal for our go-live preparations. He will start this coming Monday. We are proud to have an experienced team that understands what it takes to build solid institutional grade financial platforms which require a deep understanding of security, reliability, performance, data privacy, and compliance requirements. Stay tuned for yet another detailed update next week!